Alex Fiol was born in Santiago de Cuba, Cuba in 1960 and grew up in Stony Brook, NY. He graduated from Furman University with a B.A. in Spanish in 1982 and from the University of Bridgeport with a law degree in 1986. He is licensed to practice law in the state courts of Florida, New York, and in the U.S. District Court, Middle District of Florida. Prior to Fiol Law Group, Alex Fiol was a lawyer for the firm of Morgan & Morgan from 1991 to 2002. He was an attorney in the Orlando office, prior to moving to Tampa to establish that firm’s Tampa office. He was a managing partner and head of Morgan & Morgan’s nursing home department in the Tampa office. Alex Fiol is responsible for nursing home litigation in Florida and New York. He also provides legal representation to victims of general negligence. 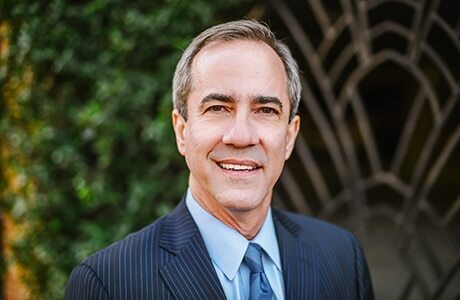 As a member of the Academy of Florida Trial Lawyers Association, Alex Fiol has been active with the Bay Area Legal Services, as the Co-Chairperson of its fundraising phonathon, and is a member of the Hillsborough County Bar Association. Other memberships include the American Association for Justice and the Tampa Bay Trial Lawyers Association. He also served as the Treasurer of the Central Florida Hispanic Bar Association.